The live performance by the artists remixing “SWITCHED-ON OTO”, featuring their world and rings out their moment of “present”. The top of Japanese synthesizer artist “Logic System” aka Hideki Matsutake performs with Moog IIIc. 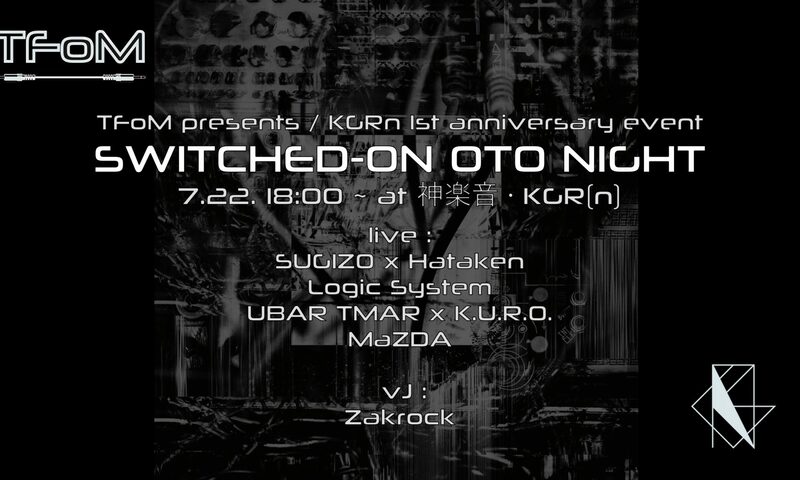 The one and only psychedelic trance artist representing Japan, “UBAR TMAR” and top-level Buchla synthesizer artist “KURO” perform together. The dance music creator “MaZDA” known as the member of SUGIZO’s solo band “COSMIC DANCE QUINTET”. The live performance of improvisation duo “SUGIZO x HATAKEN”. This event sold out immediately after an announcement will be exclusively broadcasted via SUGIZO’s official live streaming “SugizoTube”. This unprecedented collaboration by these underground artists playing most advanced music will be unveiled to the world.